France calls on Ukraine to amend the constitution. 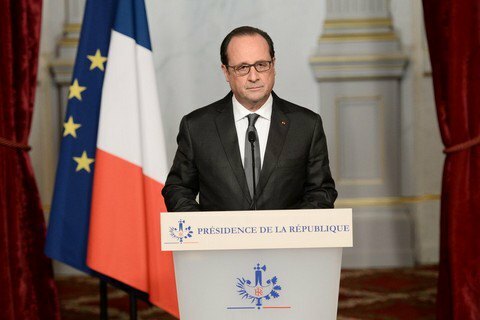 French President Francois Hollande on 21 January said that the implementation of the Minsk agreements on a Donbas settlement should be sped up. "The meeting in Minsk last year has set the course. Thus, together with presidents Putin and Poroshenko, we managed to agree a cease-fire. Thousands of lives were saved but we need to move faster and implement the Minsk agreements in full," the president said at a meeting with French diplomats. He also recalled that several days ago he and German Chancellor Angela Merkel sent their envoys to Moscow and Kiev. "Several days ago Chancellor Merkel and I sent a special mission to Moscow and Kiev. And I say more work should be done: the Ukrainian side needs to vote on a revised constitution as this is a condition of the Minsk agreements; the Russian sides needs to put pressure to ensure an election in the east which would raise no doubt," he said. "We need to walk all the way until the full completion, in particular, until the border between Russia and Ukraine is restored and European sanctions against Russia are lifted. That is why we must put as much pressure as possible and together with Chancellor Merkel, we are ready to fully dedicate ourselves to this," he said. As reporter earlier, Ukraine believes it may justifiably postpone a final vote on amendments to the constitution concerning decentralization, which de facto grants the occupied areas of Donbas a special status. The Ukrainian authorities said unless security is ensured, it is impossible to move on to the political provisions of the Minsk agreements. In early January, Russian President Vladimir Putin said, referring to the Minsk agreements, that Ukraine must first complete constitutional reform and only then can the issue of transferring border control to Ukraine be discussed.